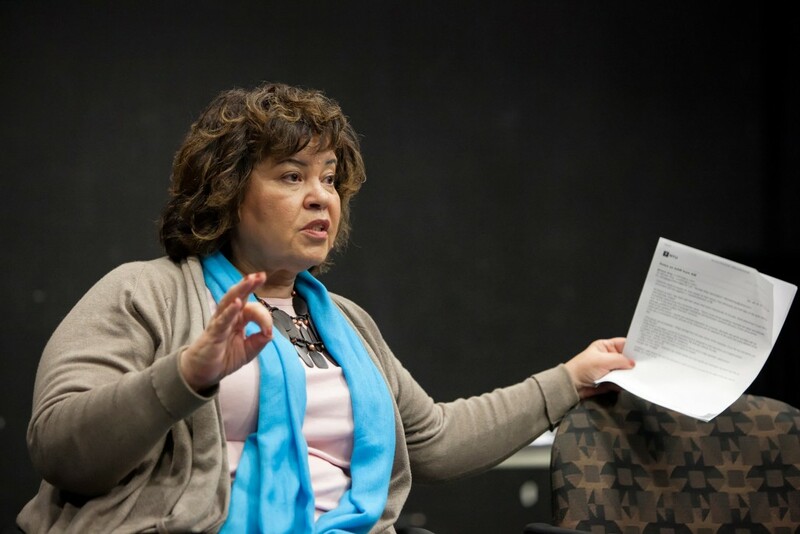 Michele Shay, who teaches Shakespeare and Chekov, is on a mission to make sure the American playwright August Wilson becomes as similarly well remembered as those two theatrical greats. Earlier this semester, she came to the USC School of Dramatic Arts to lead an intensive weekend seminar on Wilson. 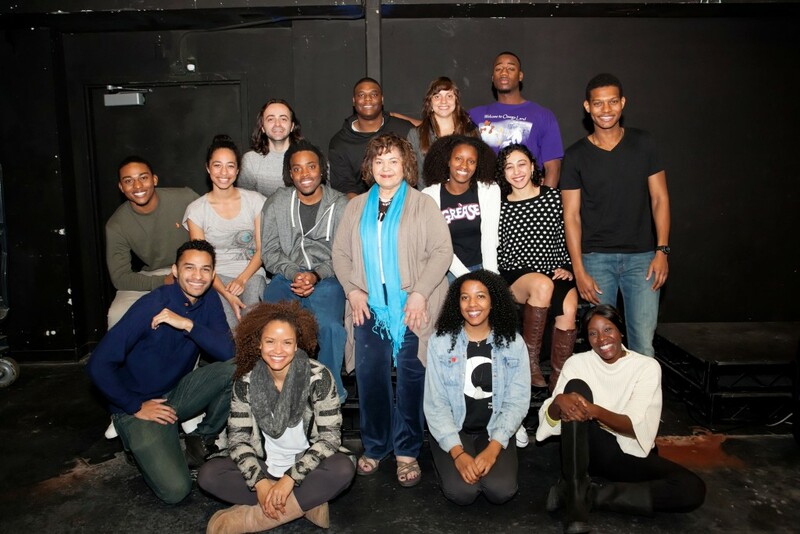 The workshop, part of the ongoing Spotlight@SDA series that brings notable theatre practitioners to campus, was open to student actors of all ethnicities. Twenty were chosen by application for two full days of monologue, scene and character work, as well as lectures, discussion and videos about the playwright. Shay started the workshop with a video clip of an interview Wilson did with actress and director Phylicia Rashad about his roots. Wilson, who dropped out of school in Pittsburgh at 16 after being falsely accused of plagiarizing a paper he had indeed written, went to the library every day after that and educated himself. Late in his life, the Carnegie Library of Pittsburgh awarded him a degree, the only such degree it has given. Influenced by four “Bs” – the painter and writer Romare Bearden, the poet and writer Imari Bakari, the Argentine novelist and poet Jorge Luis Borges and the blues – Wilson wrote plays about African-American life in each decade of the 20th century. The 10 plays (Gem of the Ocean, Joe Turner’s Come and Gone, Ma Rainey’s Black Bottom, The Piano Lesson, Seven Guitars, Fences, Two Trains Running, Jitney, King Hedley II and Radio Golf) are widely performed, and several theatres have produced the entire Century Cycle in the order written, most notably the Kennedy Center over a month’s time in 2008. Denzel Washington is directing and executive producing all 10 plays, one per year, over the next decade for HBO. He’ll also star in one, Fences, reprising his Tony Award-winning role on Broadway. Wilson’s name blazes on – literally – at the Broadway theatre that was renamed the August Wilson Theatre days after his death in 2005, and there are national August Wilson Monologue Competitions held nationwide, using excerpts from his plays. “August Wilson wrote out of a need to give a place for our people to speak,” Shay told the students. “He believed we were kings and queens, and gave his characters that level of dignity and respect.” Even if your upbringing is disconnected from Africa, she observed, you aren’t really divorced from your background. “African ancestors want to be remembered,” and “cellular memories” can be called up. 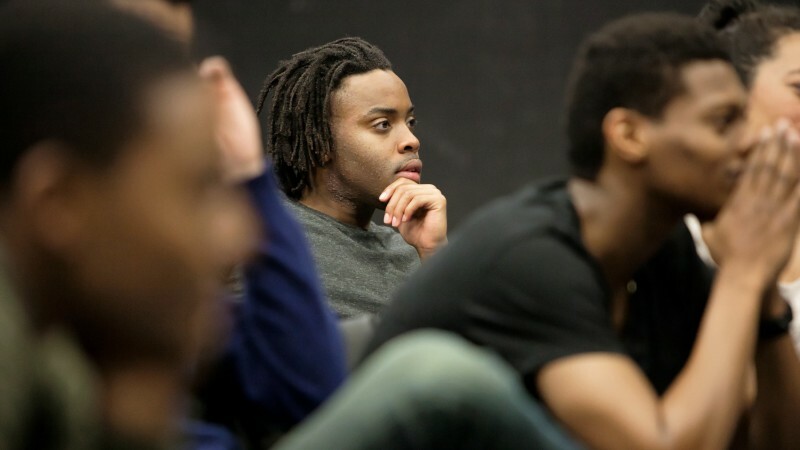 Students began the workshop talking about their ethnic backgrounds, with several of them expressing concerns that they didn’t share the background of growing up in a black neighborhood or that their mixed race might make it harder for them to connect with Wilson’s characters. Shay reminded them that Wilson himself was half Caucasian (his father was German) and reassured them that actors need to think of themselves as possibilities for roles beyond immediate perceptions.